This month, my very favorite bear arrives on the scene. This persistent bear shows up at a particular boy’s house, and, well, he wants to stay! I am so very happy to share this bear with all of you. 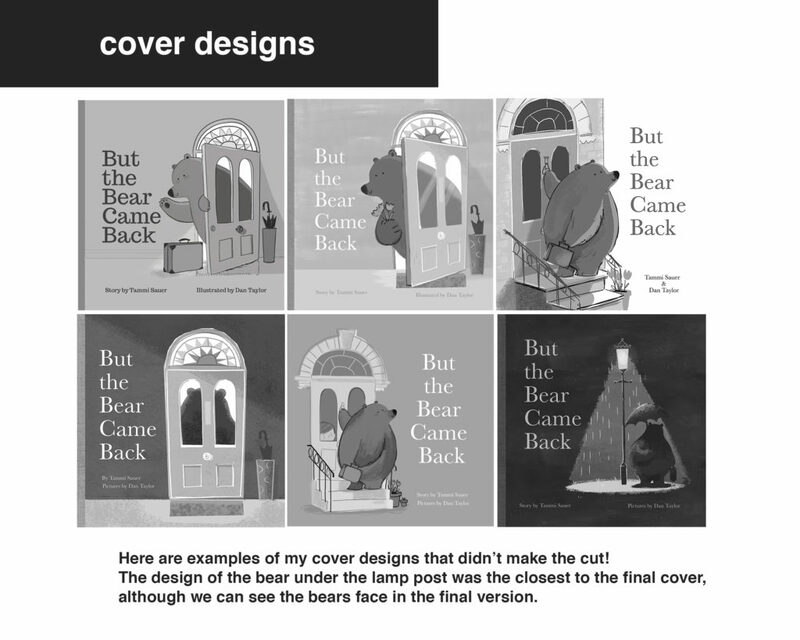 To celebrate But the Bear Came Back, I invited the wildly talented illustrator Dan Taylor to Picture Book Builders. Dan, thank you so much for stopping by–I wish this could be an in-person visit. If only I could move Oklahoma closer to the U.K.! What drew you to illustrate But the Bear Came Back? Were you worried I’d send a bear and a flamingo to your house if you said no? Well, besides the fact I would get to draw a bear and a flamingo- (by the way, if I’d known that receiving these creatures in the post would have been my punishment for not agreeing to illustrate your story I may have said no!) I found the manuscript had a very different feeling to the other stories I had illustrated before. A lot of the books I had previously illustrated were quite riotous or heavily action-packed and were required to be very brightly coloured. 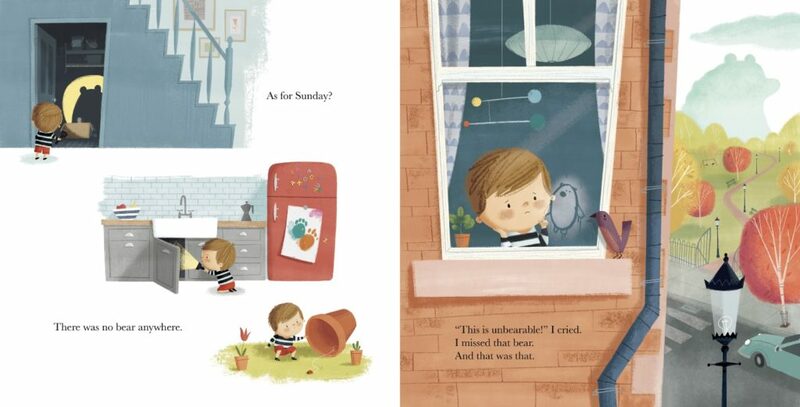 But the Bear Came Back had a different pace and feeling, it was humorous and more emotional with some quieter moments – and I felt like it was an opportunity to explore a slightly muted colour palette – which in all honesty is a lot more me! It also felt like there was a lot of freedom as an illustrator to decide what was happening in certain parts of the story as the text in places didn’t necessarily convey any action or particular scene. The story also struck a chord as I think at times, everyone pushes people away when deep down they really need them. I know I certainly have. Can you share a little bit about your process? Once I’m signed up to a project I usually get asked by the publisher to work on some character designs. There may be some tweaking at that stage and then it’s on to thinking about pages and creating rough sketches for how the story will map out visually. Sometimes, the nice people at the publishers will divide the story up over the page spreads so you can see how the story flows – which is very helpful! I work on a computer so I usually drop the text into page layouts and start sketching directly into photoshop. It’s usually all black and white drawings at this stage, but I often think about the colours and how I want it to feel in the early stages too. Once the sketches are approved, it’s on to final artwork. 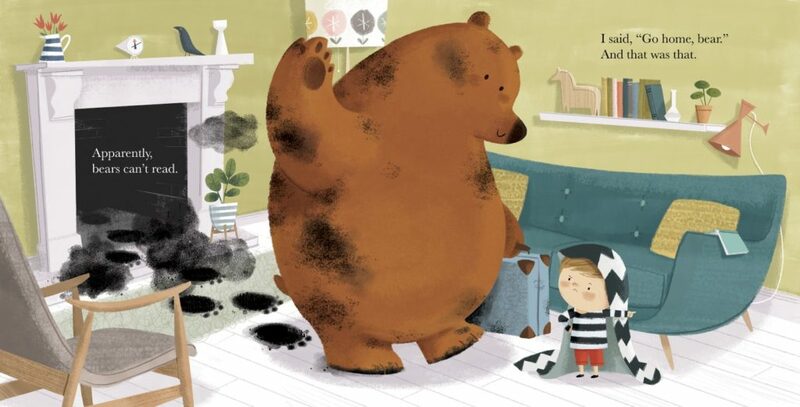 For the artwork for this book, I drew my characters into photoshop using custom brushes and also used painted textures which I scanned in and overlay onto my drawings – particularly the bear to give him a very subtle, fuzzy texture. My studio is a room at the back of my house. It overlooks the garden so I can watch the birds and squirrels which is quite nice. It’s not the biggest of spaces so I have to keep it fairly tidy, I’ve definitely tidied up for this photo! It’s usually littered with empty coffee cups and snacks. The large black monitor is called a Cintiq and it’s made by a company called Wacom. It allows you to draw directly onto the screen into photoshop and it’s just like drawing on paper. My studio is a cozy space filled with things I like, and on the two days out of the year when the sun shines in the UK, it’s actually a nice bright room. It’s also bit of a black hole for wi-fi which can be incredibly frustrating! One day, I would like to build a studio at the end of the garden – that’s the plan anyway! After seeing the art for But the Bear Came Back, I suddenly wanted to move into the boy’s neighborhood. (I, um, also wanted a bear.) How did you go about deciding what the boy’s home would look like? Did anything from your life inspire any part of it? Many things from my life inspired the art in this particular book! For one, the little boy looks suspiciously similar to my youngest nephew Noah. I love 1950’s design and furnishings and there are elements of my own home/decor in the artwork, certain furniture and objects may have crept their way in! 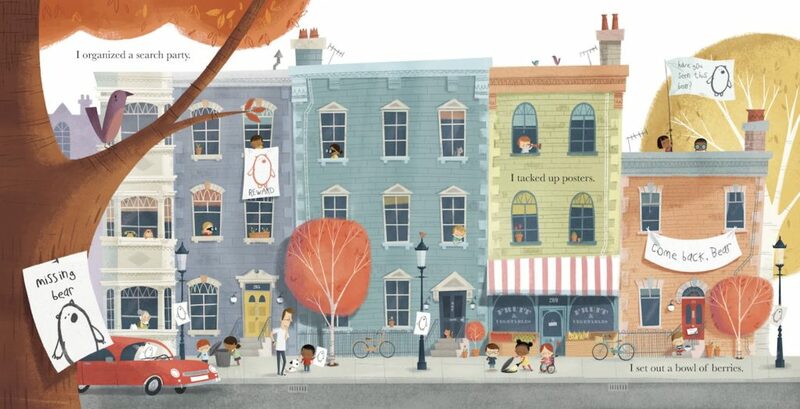 I think the boy’s neighbourhood is one of my favourite spreads in the book, it was a lot of fun to illustrate. I took some inspiration from the streets near where I live, the houses are Victorian and have a lot of character. There’s also a street in London which I visited, with lots of charming, multi-coloured houses which is featured in a recent movie about a famous young bear- I think this may have subconsciously worked its way into my mind. I think I just wanted to create somewhere charming that didn’t look overly American or European – somewhere in between. Hopefully it worked?! If you had one key piece of advice for illustrators, what would it be? Only one piece? Remember to have some downtime. Go for a stroll and get some air! I think that advice would benefit anyone. I’m pretty busy at the moment working on several books – but I am about to begin working on another picture book written by your wonderful self! Well, I better start hatching a plan and get back to work, or I’ll be in a flap. YESSSSS! You are a good egg, Dan Taylor. Dan Taylor is a children’s book illustrator from the UK. 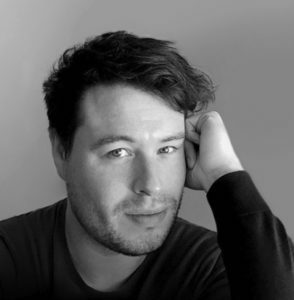 Born in Staffordshire, Dan had a love of drawing from young age and later went on to study art and illustration, graduating with a degree in visual communication. Since then, he has illustrated a variety of books for young readers, and works using a combination of digital drawing and hand painted textures that are scanned into photoshop. 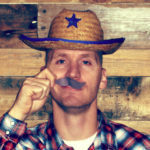 Dan is represented by the bright agency. One lucky duck commenter will receive a copy of But the Bear Came Back. Trust me. You’ll want this bear in your house. 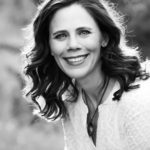 Congratulations, Elizabeth A. Curry! 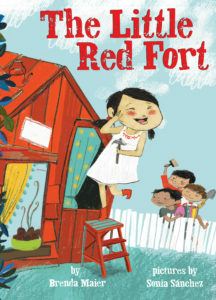 You won a signed copy of The Little Red Fort. Dan Taylor, Tammi Sauer. Bookmark. I love bear book sand used to collect stuffed bears (not real ones.) As a writer only, I love seeing the process and how illustrations change over the course of the artist’s revision process. I want this bear in my house. TY, Jill Dan, and Tammi. Love this interview! My favourite part is seeing the alternate cover designs, but the neighbourhood spread is fabulous too. Congrats, Dan & Tammi! Loved the studio, the screen, the process, the story behind the art, the book! Thanks for sharing! “This is unbearable!” I can’t wait to read this book (especially to some 3-year-olds I know). The boy/bear hug illustration is tugging at my heart strings. Thank you for sharing the picture book illustration process, Tammi and Dan. Love, love, love this interview! Cool to see your studio, Dan, and your artwork makes me want to jump into this book! Tammi, this looks ADORABLE! I can *bearly* contain my excitement that you’ve hinted at a flamingo cameo. I’ll be *flocking* to the bookstore to buy this one! Thanks for the sneak peek! The art looks gorgeous and I’m sure the text is fantastic. Can’t wait to read this book! Fantastic work! I am immersed in every illustration! Congrats to both of you, Dan and Tammi! Greetings from Greece! I love the cover of this book. So mysterious! Such an adorable bear! Would love to read this book. Can’t wait to read this and loved seeing the illustration process. The boy’s neighborhood spread is so homey and fun! Thanks for the giveaway! Thanks for sharing your process. I love seeing the “befores” and the “afters”. The neighborhood spread is gorgeous. Great interview! Can’t wait to read this one! Thank you for posting such a neat interview about the illustration process. I think this book looks fantastic! I always look forward to these e-mails to see the newest and latest books coming out. Great interview! Thanks for the peek inside your studio Dan. And Tami this book looks like another winner. Congratulations Dan & Tammi! I loved the insight into the illustration process. This book is gorgeous! Can’t wait to read it. Congrats to the both of you! Thank you for showing us some of your process and your studio. Definitely get the outdoor studio at the end of the garden! Thanks for stopping by Picture Book Builders, Patricia! Great post and love the illustrations! Thanks for sharing your lovely little writer’s “den.” Wishing you continued success! I love this book. As a librarian, I am looking at picture books all day. The art on this one really made me slow down and take a deeper look. Fun post! I loved seeing how the art came to be. Thanks for sharing! Sometimes I fret a bit about how ‘my’ story may get interpreted by an artist. Will if fit? Reading & seeing this process reminds me that the sharing is enriching, not encroaching. I like the humor-infused questions, too, btw. Thanks for sharing your process for drafting the illustrations. I’m fascinated by the monitor that you can draw directly onto and would love to see this for myself (maybe another post someday?). Teddy bears are all over my bedroom and office as I collect them (I do try to be selective as even though they don’t eat, they take up space). Can’t wait to read this book! Looks like a great book! Thanks for the chance to win a copy. If I win it will go into my school library A.S.A.P. Congrats, Tammi & Dan! This looks adorable! Can’t wait to read it :). LOVE seeing concepts and layout designs. So many great covers! And a clue at the next book from Tammi and Dan! YAY! 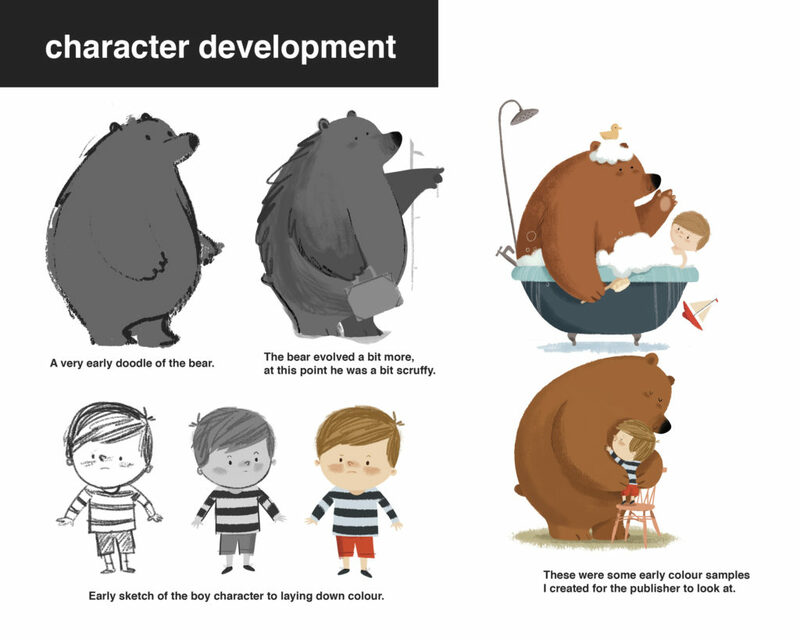 Very interesting to see the process of the illustrator. Interesting about the Cintiq too. I didn’t know they had that for Photoshop. Cool. Thanks! And congratulations to you both! Thank you for this fascinating peek into the illustration process! Learning about this really helps a writer. I enjoyed your interview so much. Being able to visit Dan’s studio and understand his process of illustrating the book was phenomenal . I can’t wait to read your book! Love processes from other illustrators! And the book looks heartwarming. Can’t wait to get it. As a PB writer ONLY (can’t draw to save my life! 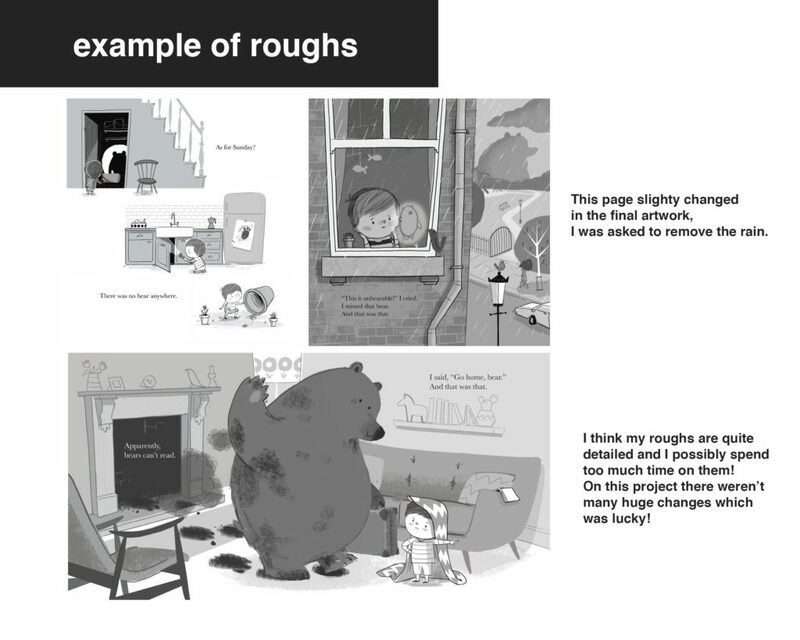 ), I always find it so fascinating to hear about illustrators’ processes. Thank you so much for sharing with us! That bear with its subtle fuzzy texture!!! 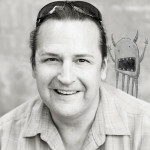 Love your illo style, Dan! Thanks for sharing your process. Congrats Tammi and Dan! Great interview! Thanks for showing the covers that didn’t make the cut. We rarely get to see the amount of work that doesn’t make it onto the page. I adore this book and am so glad yoga nd Dan will be BACK for another collaboration 🙂 Thanks for this great interview! Looking forward to reading this one plus seeing the art process. I’m sure my grandchildren will be coming back for repeated reads of this one! Thanks for stopping by Picture Book Builders! Thanks for sharing – love the concept and looking forward to checking this book out! We’ve loved Tammi Sauer’s book ever since Cowboy Camp and can’t wait to see this latest one! The illustrations are adorable. Thanks to you both! I’ve been seeing this book all over twitter!!! Would be great to add to class library. I love these illustrations and I can’t wait to read the book! Thanks for sharing some of your process with us! Thanks for the peek at the illustration process, and the cover designs! Love the cover as is, but the illustrations of a bear outside the door also grab my attention. Can’t wait to see the rest of this! Terrific–thanks so much for the great interview!! While I work on the computer I am always amazed with illustrators who have mastered the drawing directly and creating their art digitally. This looks like a wonderful gem of a book and something I wouldn’t mind adding to my or my grandsons’ library. Thank you for sharing. Congrats, Tammi! Can’t wait to welcome that bear in. It really does look charming…looking forward to ordering it! Great illustrations! 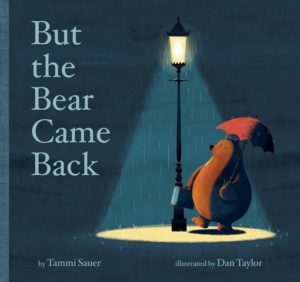 I looked for BUT THE BEAR CAME BACK at Barnes and Noble today among all the other cute Tammi Sauer books. It wasn’t at the Orland Park, IL store, but I see it’s available online. Love your description of your illustration process and look forward to seeing this book when it comes to my library. This book looks adorable! Thanks for telling me about it. Thank you, Dan, for an incredible look at your process, thoughts, and even your workspace. (I dare not show that Cintiq to my artist husband…) Your characters are so lovable! Congratulations to you and Tammi on this terrific book. I love seeing Dan’s studio where the magic happens! Looking forward to reading this book. Congrats Tammi and Dan! Thanks, Tammi and Dan. You two are a dynamic duo. I loved reading his thoughts on how the art evolved. Fantastic interview. I want this book! This book looks hilarious! I can’t wait to read it! Oh how exciting! I love hearing about the process that brings these characters to life. I am sharing this post with my illustrator husband, who also uses a Cintiq. This looks incredibly fun (typical Tammi :D) and the illustrations wonderful (typical Dan). Can’t wait to give this one a read. Thanks for the inside scoop! Tammy, lovely interview with Dan. The book looks adorable! One I definitely need to see! Great interview, Tammi! Loved seeing Dan’s process, especially the different cover designs. Looking forward to reading But the Bear Came Back . . . congratulations!!! Can’t wait to read the story. This is a wonderful interview Tammi and Dan! Thank you for sharing your process and beautiful illustrations. It sounds amazing! Adorable! I can’t wait to read this one! Absolutely amazing! I wish to move to the boy’s neighborhood too! This just looks beyond adorable! Dan, all your illustrations are absolutely superb! It’s so fun to see the character development, and I must say, you really do work on those “drafts” in a more detailed manner than one would expect -ha! Tammi’s story paired with Dan’s artwork = perfect match! It’ll be a hit! Thanks for the insight. Great interview. I really enjoyed Tammi’s book, Mostly Monsterly, so I’m looking forward to reading this! I love the illustrations I’ve seen here. Thank you to all of you for all the lovely comments, I’m so glad you enjoyed the interview and found it interesting! Really amazing interview here. I appreciated seeing Dan’s process sketches as well as his cover designs. I’m really impressed with how finished his “roughs” were too! Always fun to see an illustrator’s process, Dan and Tammi. I’ve added this one to my library request list and am looking forward to reading it.